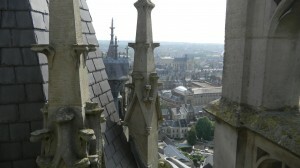 I climbed up the north tower of Amiens Cathedral’s west facade. Another man was already up there, and he looked so happy that I had to talk to him. He turned out to be the director of the cathedral’s restoration, and was surveying the rest of the building from our lofty vantage point. He had come from Paris about 20 years before. 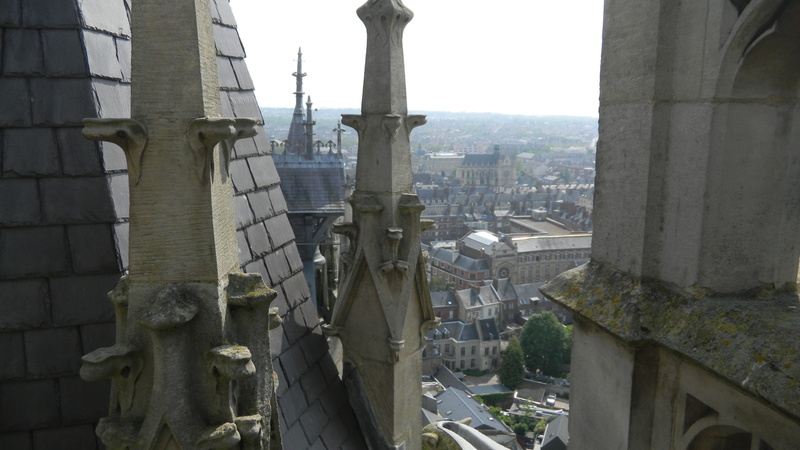 “The cathedral entered me.” He moved to Amiens and never lived in Paris again. His knowledge was impressive. He had traveled all over Europe, to many other cathedral towns, and he shares his passion by giving lectures in elementary schools. For him, the stable order in Gothic cathedrals was more real than Paris’ urban bustle. Gothic art still strikes chords in some people in today’s digital age.